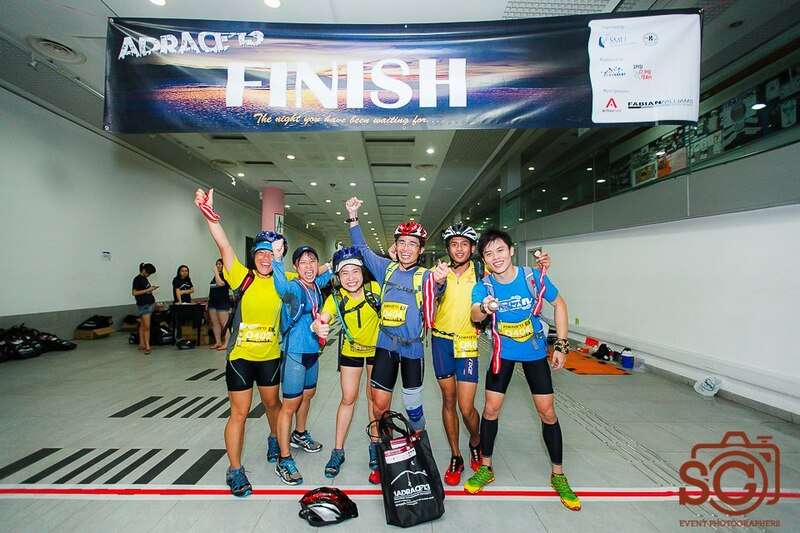 It’s been a long day and an even longer night … having just completed the SMU Adrace 2013, the only overnight adventure race in Singapore. 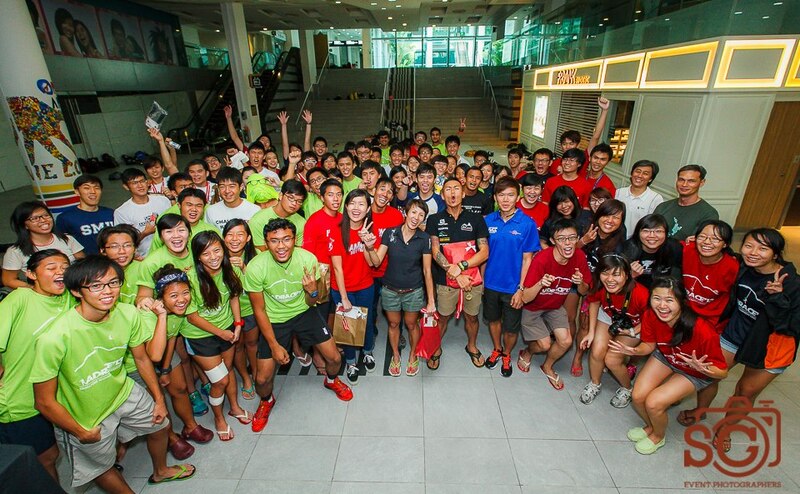 Organised by the students of Singapore Management University, the event was well orchestrated and full of smiling, enthusiastic crew and volunteers at every station. 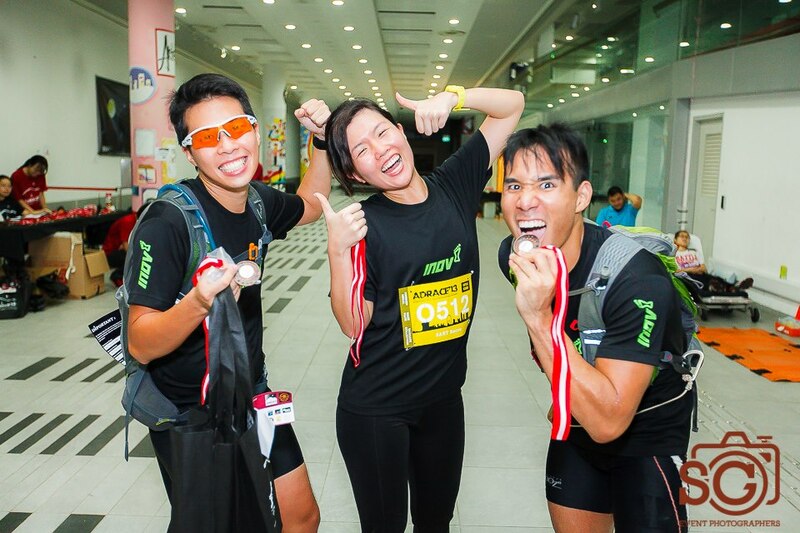 The challenges were both physical and mental, with everything from running, biking, skating, rock-climbing and swimming, to memorising tongue twisters, deciphering morse code and navigating the city in the dark. 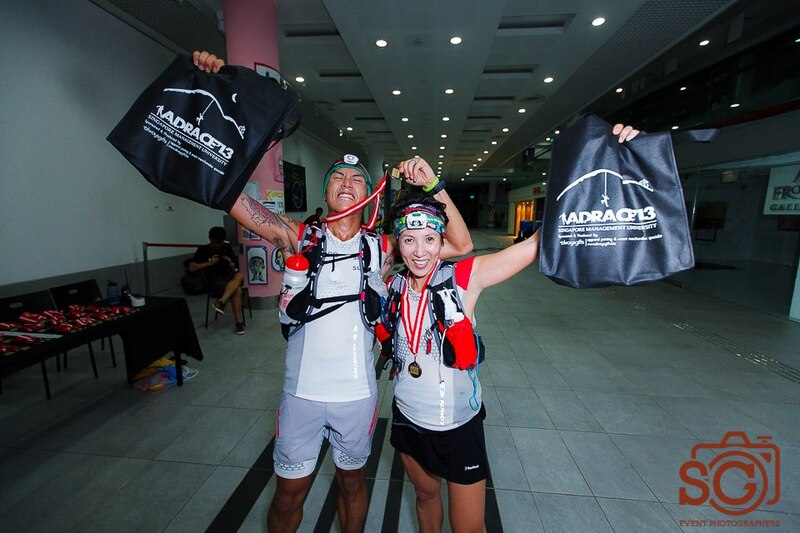 With fellow Salomon athlete Ford Lim, we formed a team of two for the mixed pairs event. Our wave kicked off at 11pm, starting at the East Coast Parkway (ECP. The first challenge after a short run involved answering some general knowledge questions, I admit I had difficulty with that .. especially that math ones! We picked up a bike further along, made it to the end of the ECP and then biked to Marina Barrage for a spot of kite-flying. We had to make our own kites first, though! With the following checkpoints we took the more scenic route (my navigational skills are honed to perfection – in the opposite direction! ), but this didn’t detract from the fun. We climbed the rock wall, memorising clues along the way (I think i should get an age handicap or something for stuff like this), played a spot of underwater hockey, did laps of the giant stairs (another memory game!) and searched Fort Canning for hidden clues. Just when we thought the finish was in sight, we get a clue that sends us back out towards Marina Bay Sands to find the ‘fans’. Finally locating the fan-like structures, we’re faced with the in-line skating challenge – find and memorise (what is this with memory games??!) 5 tongue twisters and report back to the stationmaster. Try memorising and repeating “Imagine and imaginary menagerie manager managing an imaginary menagerie” when it’s 4am in the morning and you’ve been on the go for all night .. hilarious results. Finally, we’re headed back to the start. Excellent teamwork and support from Ford, and we were the first team across the line. Kudos to all who competed, more so to those who were out there till the end. It’s far tougher having the determination to stick it out for such a long time, well done indeed. Congrats to SART Recrea team who won the Open Team event, and all other teams who made it to the podium or otherwise. Great effort from everyone, and hat’s off to a strong Team Yoghurt who came in just behind us. Mark your calendar’s for next year, this is an event that’s worth a try. Some pics here, and updated albums will be uploaded here when they’re ready.